45.6 million tweets related to Lok Sabha elections were recorded from March 11. In March twitter had launched the #LokSabhaElections2019 emoji to light up election conversations. NEW DELHI: Conversations and debates on elections filled Twitter on Thursday with the social media platform recording over 1.2 million tweets related to the Lok Sabha elections on a single day on 11 April, as the first phase of the Lok Sabha elections ended with people casting their ballot for representatives in 91 parliamentary seats in 20 states. A total of 45.6 million tweets related to Lok Sabha elections were recorded from March 11, the day elections were announced uptill April 11, the microblogging platform said on Thursday quoting its internal statistics. Prime Minister Narendra Modi has emerged as the most mentioned figure during the first phase of Lok Sabha polls conversation on its platform. However, top election conversations was reportedly on the topic "national security" followed by "religion", "jobs", "agriculture" and "Taxes and Trade" respectively. Other top mentioned leaders on the social media platform were BJP president Amit Shah, Uttar Pradesh Chief Minister Yogi Adityanath, Congress president Rahul Gandhi and Congress leader Priyanka Gandhi Vadra. "Indians and India across the world have been engaging in dynamic conversations around the elections with relevant hashtags, replies and retweets, to discuss the topics that matter most to them. 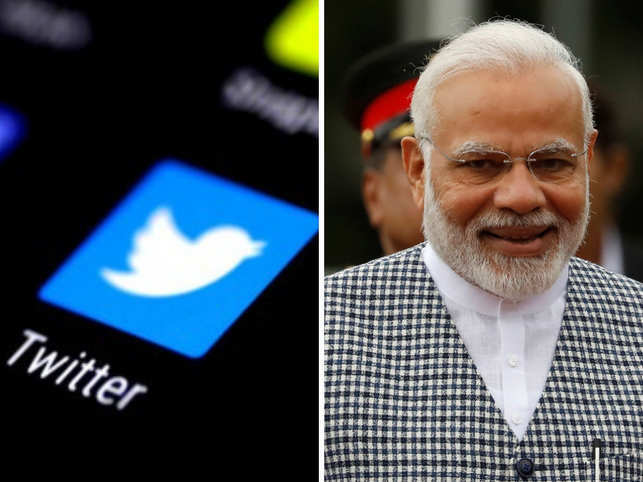 In the past month, leading upto elections, national security has emerged as the most talked about election-related topic on Twitter," said Twitter. "In the last month, conversation around #LokSabhaElections2019 peaked with the beginning of campaign season, the announcement of major schemes, filing of nominations by key party figures and finally today, on polling day." Twitter India said. Among the constituencies that went for polls in the first phase are - eight in Uttar Pradesh, five in Uttarakhand, four in Bihar, seven in Maharashtra, five in Assam, four in Odisha, two each in Jammu and Kashmir, Arunachal Pradesh, Meghalaya and West Bengal, and one each in Chhattisgarh, Manipur, Mizoram, Nagaland, Tripura, Sikkim, Andaman and Nicobar Islands and Lakshadweep. The results will be announced on May 23.